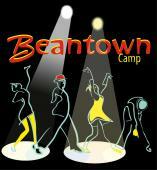 Plans are continuing to take shape for an incredibly fun week at Beantown Camp this summer. Dancers are already registered from all over the U.S. as well as several other countries. We will have some announcements soon about some of the special classes and presentations that are being added. Lots of great stuff to look forward to! Please contact us if you are interested in volunteering for a work crew position for a camp registration discount. There are still several openings available. Some of the housing options on campus have sold out, including Woodside and Hawthorne. Manchester and Gloucester are very close to being filled. There are still plenty of rooms available in the other options including singles, doubles and triple/quads. Check the website for details.